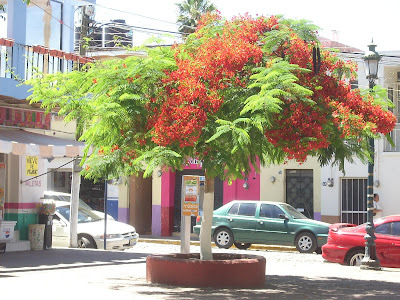 This is one of several Tabachín trees growing on the Plaza Central in Ajijic, Jalisco, México. 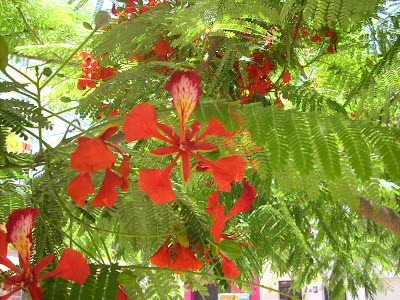 I am amazed at the beauty of its flowers. It is in full bloom now. 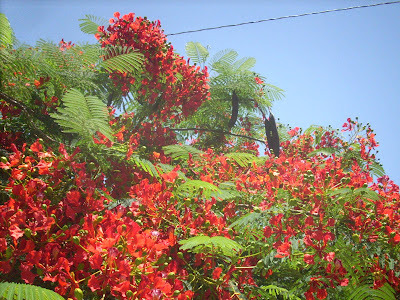 We enjoy the many flowering plants and trees that bloom at various times during the year in our little part of paradise.